Fear can hold a child back, especially the fear of public speaking. The good news is that as a parent, you can do much to combat these fears. To do this, one must first understand why communication can be so difficult for a child. So, how can a parent create these “speaking opportunities” for their child? It all starts with building a child’s confidence through constant encouragement and support. Maryn Liles from Parents Magazine advocates helping a child develop effective speaking skills by having them practice “confident body language by standing straight and tall, smiling into the mirror while speaking, and making eye contact with his ‘audience.’”. It is also important to encourage children to speak independently in everyday situations. Take advantage of opportunities to let a child speak when ordering food at a restaurant or choosing a toy in a store. Ask them to use complete sentences that convey what they want and why they want it. Reiterate that their ideas are meant to be shared, regardless of how they are received by the audience. 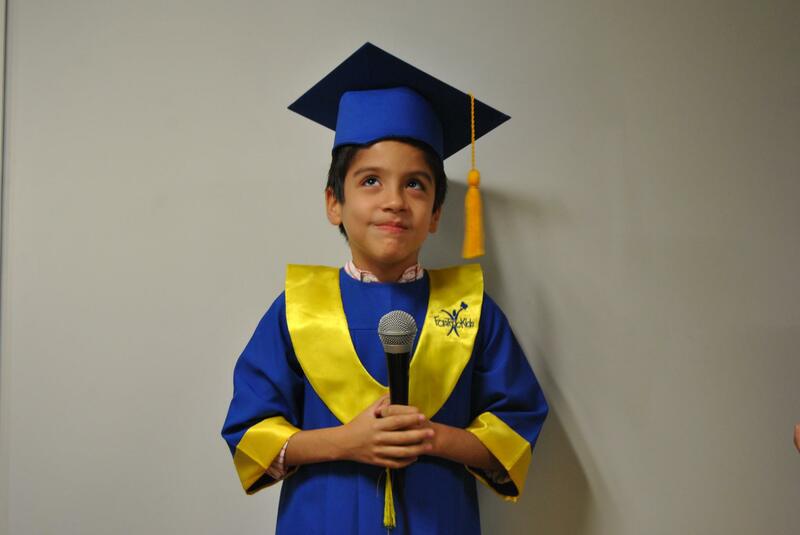 At FasTracKids, public speaking and communication skills are paramount in the developmental and educational goals of the classroom. As a result, the communication skills of a FasTracKids student surpass expectations in part because they are taught to understand how to create a speech from beginning to end. Teachers also support children using full sentences and new vocabulary. By offering consistent encouragement and providing pre-planned speaking moments, you can further develop these skills and create a confident child speaker that is ready for the future.